I’ve decided not to buy supermarket bottled Chinese stir fry sauces any more, because practically the first ingredient in them is sugar. Yes, I knew about this, but continued to buy ready-made sauces because of the convenience factor. That’s how those supermarkets nab you – they play on your natural vices. Laziness is my biggest vice. It was partly out of laziness that I bought those sauces, but also because I’m not confident with making Chinese food. Eating it, yes (not with chopsticks though), but making it… not so much. However, there are plenty of recipes on the Net for instant sauces. As long as you have a little sweet (honey/sugar/sweetener of choice), a little sour (vinegar), a little hot (chilli sauce/flakes) and a bit of salt, you already have a base for the stir-fry sauce. After that you just add whatever takes your fancy (peanuts, cashews, sesame seeds, garlic, etc) and some veg and meat, and there you are. Today I made a pork stir fry with black sesame seeds. There were two boneless pork medallions, a bell pepper and a pak choi. and that’s what made up Pete’s dinner. 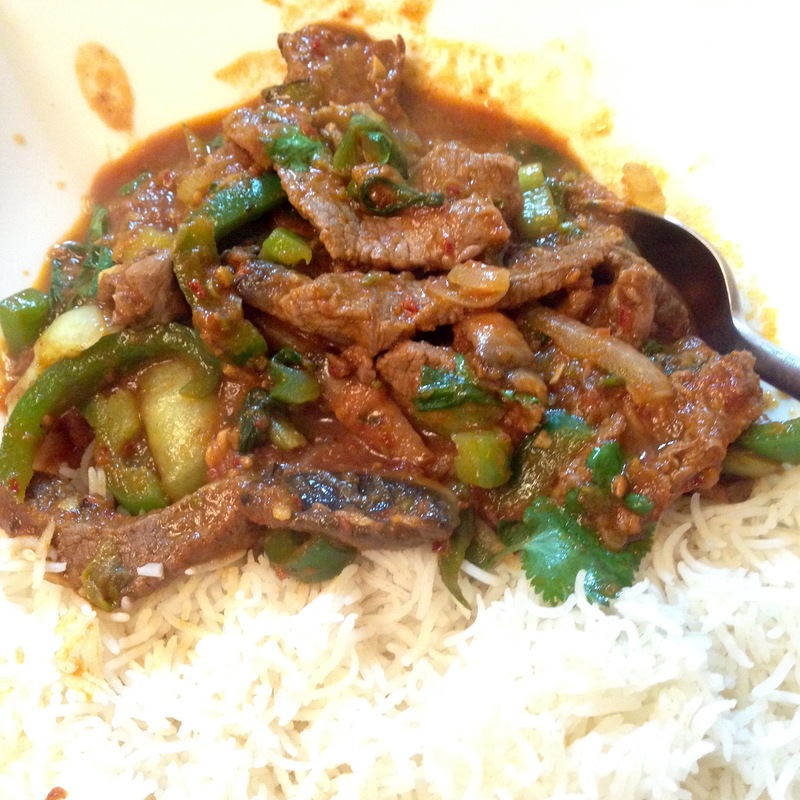 Those were the only veg I had handy, but you can add mangetout, mushrooms, baby corn, scallions – whatever you like. 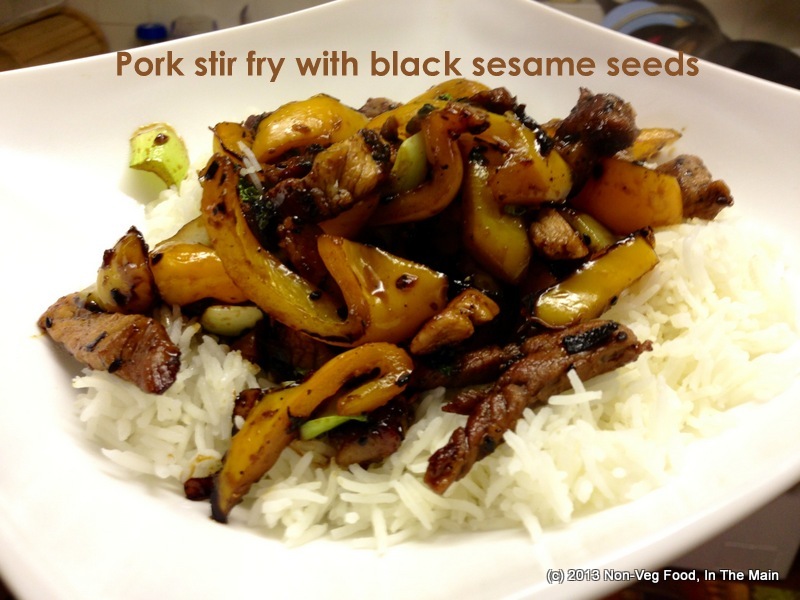 This entry was posted in Pork and tagged basmati rice, Bell pepper, Black sesame seeds, chilli sauce, ginger root, honey, rice wine vinegar, shallots, Soy sauce on September 16, 2013 by shyameds.